Computing underpins every aspect of our lives, from smart phones to the robots that assemble our cars. It gathers data on traffic, schedules deliveries and tracks parcels. It is embedded in cameras, remote controls, air-conditioners, and even toasters. It matches us to partners, suggests our purchases, and tracks our fitness. And so much more. Computing is so intrinsic to daily life, it is hard to believe that 70 years ago, it didn’t even exist. 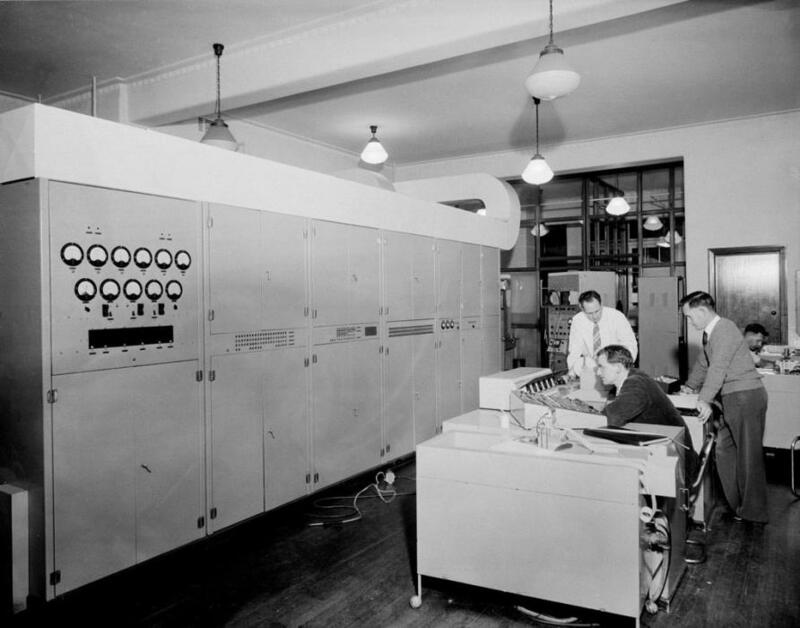 The first few computers were built in the 1940s; the fifth in the world, or even perhaps the fourth, was the CSIR Mk 1 – built by the CSIR (not yet CSIRO) in 1947-49 in Sydney. Designed and constructed by a team lead by Trevor Pearcey, it was used in several landmark projects such as the first-ever computer-generated music and early studies of traffic congestion. However, CSIRO decided to discontinue its involvement in computing and so the CSIR Mk 1 was turned off in 1954. Around a third the size of a shipping container, it ran at about 1000 instructions per second and could store just a few kilobytes (the equivalent of a page of text in a typical book). A computer today of similar size and power consumption would be almost a supercomputer – a billion times faster and with perhaps a trillion times as much storage. In its lifetime of 14 years, CSIRAC undertook about as much computation as a smartphone can complete in a minute. But at the time, to its users, it did not seem slow; it seemed miraculous. It provided automation of processes in ways that had previously been inconceivable. Happily, the CSIR Mk 1 had a second life. It was moved to the University of Melbourne and relaunched as CSIRAC on 14 June 1956. At that stage it was still Australia’s only computer, but WREDAC began operations in South Australia that same month, and SILLIAC in Sydney later that year – computing was beginning to spread. CSIRAC ran until 1964, and is now in the Melbourne Museum; it is the oldest computer in the world still intact. Such a primitive, slow, small machine might be seen as an antique with no relevance to the world of computing today. But it would be a serious mistake to see it that way. Founding member of the University Computation Laboratory Ron Bowles at the IBM. Picture: University of Melbourne archives. It is certainly true computers have changed immeasurably; after all, in the era of CSIRAC, computers did not even have keyboards but instead had consoles of switches and dials. They had almost no permanent storage, and thus no file systems. They had no screens, at least that we would recognise. But they had memory and processors, and embodied an amazing new principality: universality. If one computer can undertake some task, then any computer can undertake it. In this respect, CSIRAC and smartphones are equivalent to each other. They rest on mathematical laws just like those of physics. Just as gravity and electromagnetism are the same throughout the universe, so are the laws of information and computability. Working with paper tape and fanfold printouts, the skills of early computer scientists might seem remote from a world of touch screens and motion sensors, but many of the underlying skills of computing professionals are much the same. There are probably more similarities than differences between the curriculum of 1976, when punch cards were still the main way that students used computers, and that of 2016. Likewise, many of the discoveries made on the early computers remain just as important today. Techniques invented then continue to be valuable, and are part of the core of knowledge that every programmer needs to learn. Today’s computers are small, fast and deeply embedded in our daily lives, but they are not fundamentally different from Australia’s first computer. Picture: University of Melbourne archives. The era of the first-generation computers saw the creation of ideas and systems that underpin much of today’s computing, both in Australia and internationally. To list just a few examples: networking, operating systems, database systems, search technology, messaging, word processing, and computer games were all conceived while CSIRAC was still in operation. The impact of CSIRAC was also felt in other ways. 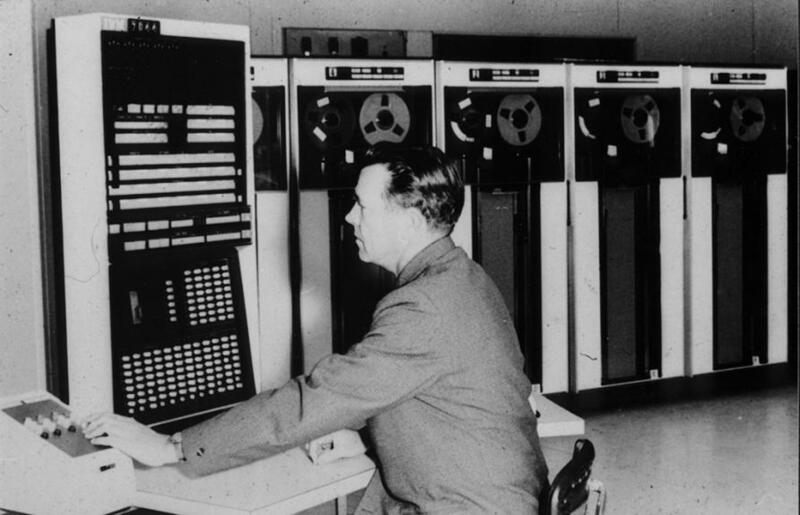 The arrival of computers at the Universities of Melbourne and Sydney in 1956 created the roots of computing education in Australia. The first subjects were offered at Melbourne even before CSIRAC was operational, and over the next decade or so developed into complete degrees; the graduates of these degrees, many of whom still work in the field, were the foundation of our ICT workforce. They learned their trade on computers that seem extraordinarily slow, simple, and unfriendly by comparison to the systems we use today, and yet their skills remain just as relevant. The principles of computing truly are universal. Banner Image: Trevor Pearcey and the CSIR Mk 1, later renamed CSIRAC, Sydney 1952, University of Melbourne Archives. *You can read about CSIRAC at http://www.cis.unimelb.edu.au/about/csirac/. 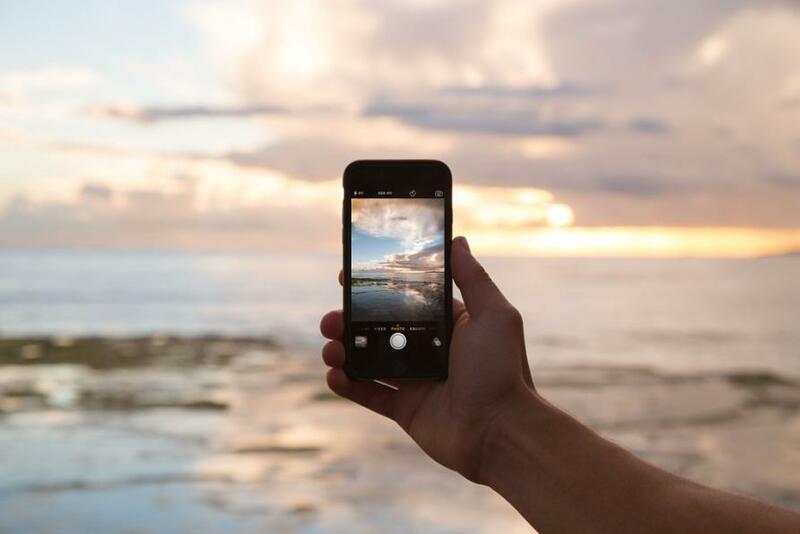 With more people using social media as a primary source of information, how can we sort the truth from the lies?